Lightweight, Hybrid Design, with foam and cane shin protection and full cane top hat. Neutral branding/colourways with embossed Chrome detailing. Shorter Top Hat - for a better fit against upper thigh protection. Additional Buckle Padding for maximum comfort. Split Knee Locator with internal knee cup for ultra protection. Deeper Leather Instep with added protection - for lower seating over foot. Oversized Wing for greater protection, wrap-around fit and comfort. 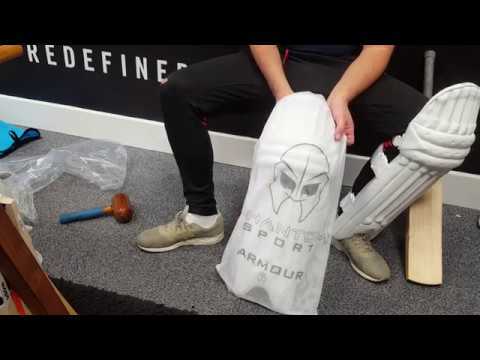 Boasting a stunning new hybrid design, the Phantom Armour Batting Pads are designed to be lightweight whilst offering unparalleled protection and style in this price bracket.